Careers // Variety. Ingenuity. Respect. No career is fulfilling without them. MAC Engineering Inc. - located in Calgary, Alberta - and MAC Automation Inc. - located in The Woodlands, Texas - are Engineering Solutions Providers specializing in hi-technology and capital intensive industries such as oil and gas, chemical manufacturing, petrochemical, waste water and food processing. MAC provides vendor neutral engineering services in process controls, electrical design and instrumentation. We carry out modern designs of a system from conception through to start up and commissioning. Our team consistently provides solid Controls, Automation and Electrical Solutions for our clients, which in turn opens new opportunities for our growth. MAC Engineering and MAC Automation are always looking for exceptional individuals with the right technical know-how and attitude for advancing in our dynamic environment. We foster a learning atmosphere that encourages and enables individuals to provide solid tangible results in their role, which speaks to our high employee engagement. 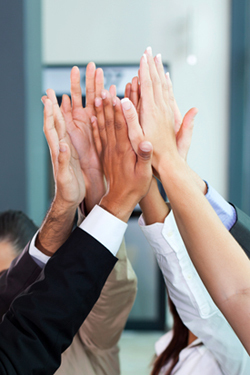 We also promote a fun environment where our team has high synergy and collaboration. MAC Engineering and MAC Automation are equal opportunity employers. We thank all interested applicants, however, only those under consideration will be contacted. Please submit your cover letter and resume to careers@macengineering.ca. Our Canadian operations is currently recruiting for an Automation Specialist to be based in Calgary, Alberta. This rewarding opportunity as an integral part of a fast-paced multi-discipline team, will provide automation system solutions for our clients. The Automation Specialist will have a strong understanding of the concepts of programming and configuring industrial automation systems including SCADA systems, RTUs, PLCs, HMIs, etc. Programming and configuration of SCADA systems, RTUs and PLCs on variety of platforms. Perform on-site troubleshooting, testing, and commissioning while liaising with client stakeholders. Maintaining complete project documentation with respect to Engineering design and construction, including all construction packages, as-built requirements and return data information. Be able to facilitate project deliverables that meet client's quality expectations and schedule. Promote the company; it's people and talents. Knowledge of CygNet SCADA systems is an asset. Solid working knowledge in communication protocols and networking. Able to adapt to various situations quickly, while adhering to deadlines. Excellent troubleshooting skills. Able to provide suggestions and solutions for problems as they arise. Strong software computer proficiencies – Word, Outlook, Excel. Advanced communication skills. Able to communicate across all levels of the organization and with a variety of clients. Degree or Diploma in Electrical, Automation, Instrumentation or Computer Science Engineering/Technology Diploma with at least 5 years in real-time control systems programming. Working knowledge of VBScript, ACCESS and SQL Server would be considered a definite asset. Please submit your cover letter and resume to careers@macautoinc.com. Our American operations is currently recruiting for a Junior Engineer/Technologist to be based in The Woodlands just outside of Houston, Texas. This is an excellent opportunity to work in a fast-paced environment with the ability to work on a wide variety projects. The Junior Engineer/Technologist will be a self-motivated individual able to multi-task and, at times, work independently as well as part of a project team. Programming and configuration of SCADA hosts, RTUs and PLCs on various platforms. Perform troubleshooting, testing, and commissioning while liaising with client stakeholders. Previous experience in automation systems is an asset. Excellent trouble shooting skills. Able to provide suggestions and solutions for problems as they arise. Degree or Diploma in Electrical, Automation, Instrumentation or Computer Science Engineering/Technology Diploma. We are currently recruiting for an Electrical Designer – Junior/Intermediate. This gratifying opportunity under direction of the Electrical Lead will be responsible for providing accurate, detailed Electrical solution deliverables that satisfy business and other stakeholder needs. This person has proven Electrical Designer experience coupled with a fantastic entrepreneur like demeanor when interacting with clients and vendors. Design and draft electrical design packages. These include all the various layouts, schematics, schedules and drawings involved in such Design packages. Support the design of the MV/LV power distribution system, single line diagrams. Accurately prepare area classification drawings in conjunction with electrical engineer and other discipline engineers. Calculate voltage drops, size conductors, cable trays and lighting requirements. Develop electrical bulk material quantities (MTO's). Develop load list from P&ID's and mechanical equipment list. Design the Electric heat tracing system and draft the EHT ISOs. Provide design and drafting support as required. Be able to facilitate project deliverables that meet client's quality expectations and schedule. Promote the company; it's people and talents. Design and draft drawings using AutoCAD software. Able to adapt to various situations quickly, while adhering to daily deadlines. Strong software computer proficiencies – AutoCAD, Word, Outlook, Excel. Advanced communication skills. Able to integrate across all levels of the organization and with all variety of clients. Electrical Engineering Technology Diploma from a recognized technical institution or equivalent qualification. Prefer 5> years of experience in related Alberta oil and gas field. Knowledgeable with latest revision of the Canadian Electrical Code.